Gregory S. Nelson is the Managing Director of Triad Real Estate Consulting Group, LLC (Triad) and is responsible for Asset and Investment Management. Prior to founding Triad in 1996, he was a Senior Vice President with Moody Rambin Interests, Inc. While at Moody Rambin, he co-managed the Investor Services Group and was responsible for institutional investors, which included State Farm Insurance, TIAA-CREF and Cigna, among others. Prior to joining Moody Rambin, Mr. Nelson was a Vice President with Advantage Real Estate Services (ARES), a wholly owned subsidiary of The Mutual Life Insurance Company of New York (MONY). He was the initial member of a team that set up ARES, a property management company comprising 28 million square feet of commercial properties. In addition, he served as the National Construction Manager with direct responsibility for over $100 million annually in capital projects throughout the United States. During his career, Mr. Nelson has worked with clients on understanding market conditions, asset valuation and strategic asset planning. He has analyzed note purchases, structured loan models and joint venture agreements to best meet strategic asset plans and return expectations. He has managed multiple projects simultaneously and frequently interfaces with outside consultants (attorneys, engineers, contractors, property management and financial institutions) in various stages of an asset`s acquisition, disposition or strategic plan. 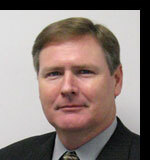 Mr. Nelson earned his Bachelors of Business in Finance from the University of Houston in 1982. He is a licensed Real Estate Broker in the state of Texas, and a member of the National Multi-Family Housing Council (NMHC)and the International Council of Shopping Centers (ICSC). Â© Copyright 2008 Triad Real Estate. All Rights Reserved.